You know what they say about making a first impression, right? You only get one chance! 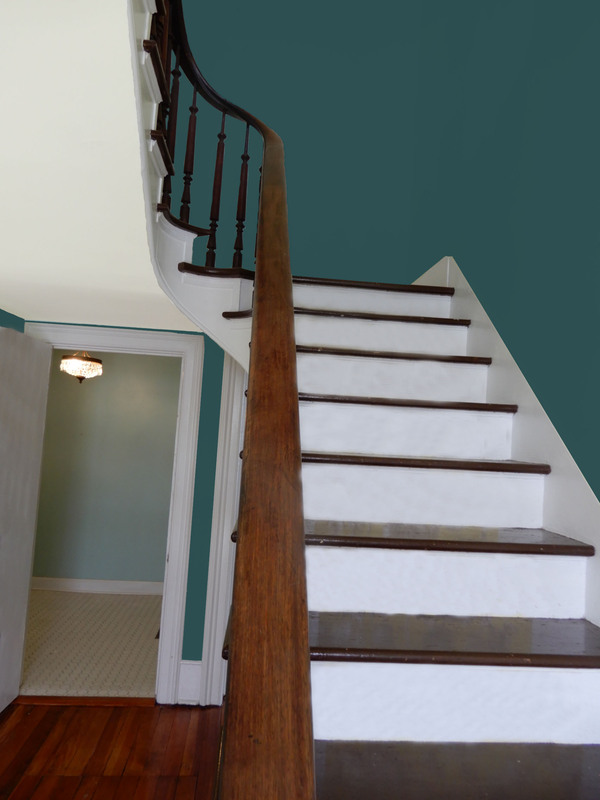 When designing the entry for our new office, our goal is to make the space with its original staircase a show piece. We began with a patterned traditional wallcovering that started to drive the rest of the aesthetic. Unfortunately, old houses don’t always cooperate with your design plans. Given the texture and unevenness of the entry walls we are unable to use the wallcovering as the installer said there is not a straight line in the place, so we went back to the drawing board. This is not a new situation for us as we are often challenged to redesign spaces mid-project. 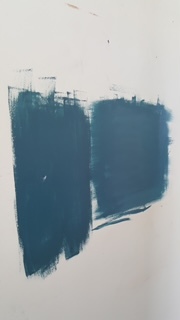 While it is always difficult, we were really invested in the look the wallcovering would provide and it was hard to change direction, but after a few long hours of deliberation, we decided to paint and narrowed it down to two similar shades that provide a pop of color. This shade is easy on the eyes as well as sophisticated. Peacock Blue is from the restoration color palette, so we are confident that it is a color that is true to the period. Making the change challenged a lot of other decisions so we reconsidered the entire color palette and have made adjustments to the other spaces as well. Sometimes throwing a wrench in things actually makes for a better design, and that is right where we are, rolling with the punches!